Norwegian biker Alexander Kristoff (Katusha) led from the front as he won the second stage of the Tour of Qatar on Monday. 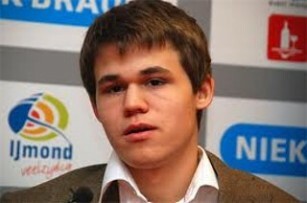 Norway's chess World champion Magnus Carlsen on Sunday won the Tata Steel tournament in Wijk aan Zee, the Netherlands, with a draw against Ivan Sark in the last match. Norway's Boxing Queen, world champion Cecilia Brækhus defended her titles when she defeated Germany's Jennifer Retzke in Copenhagen on Saturday. Norway's chess World champion Magnus Carlsen on Tuesday won his sixth match in a row at the Tata Steel tournament in Wijk aan Zee, the Netherlands, and now leads the tournament. Norway's defending champion Magnus Carlsen (23) retained his title after he defeated challenger Viswanathan Anand of India in the 11th game, thereby winning 6.5-4.5 overall. The Norwegian Parliament (Storting) has voted to lift the ban on professional boxing in Norway. The vote was 54 to 48 in favour of lifting the 33-year old ban.